Surface preparation is the foundation of a quality floor finish. The surface may need to be prepared to a precise specification or it may only require a light cleaning. ProCut prides itself on being able to provide clients efficient options to fulfill their needs. We have the capability to remove any surface covering and adhesive mastics. This work can be performed in a variety of settings ranging from industrial demolition sites to fully operational medical facilities. 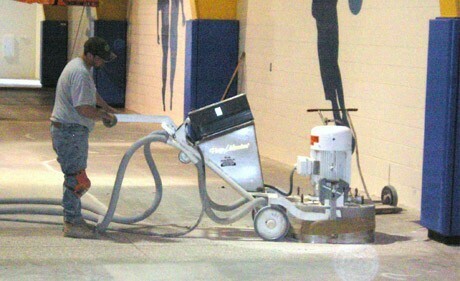 ProCut uses a variety of specialized equipment on its flooring projects. Our sophisticated equipment is electric or propane powered making our work low-emission & dust free. Flooring finish removal and surface preparation is a unique service that we provide our clients. Our professionals provide a variety of options to fulfill clients' flooring requirements.